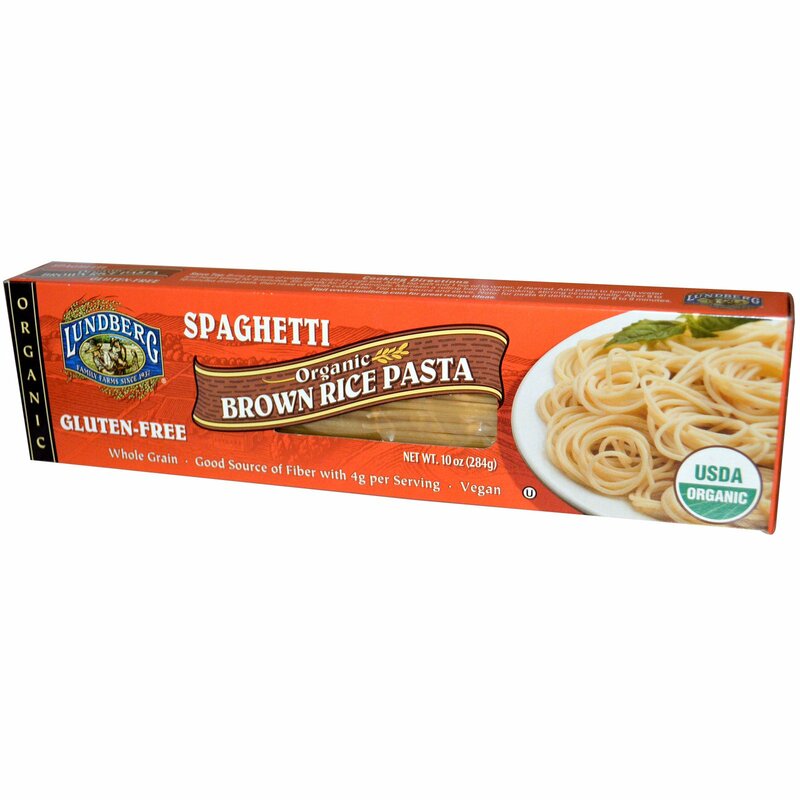 Lundberg Family Farms offers great taste, texture, and nutrition in a gluten-free pasta. 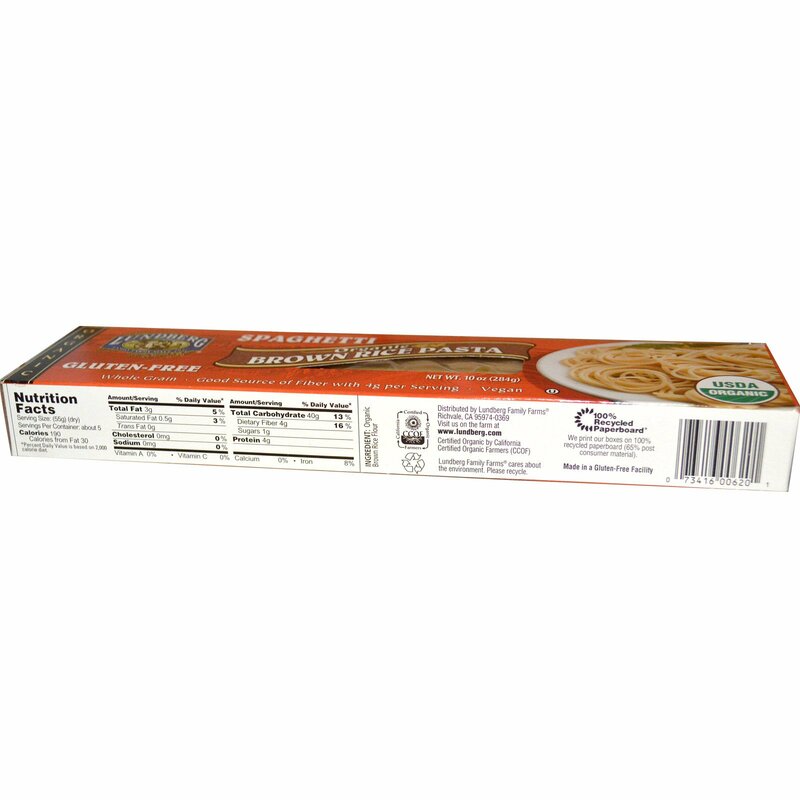 Our pasta is 100% organic and made with whole grain brown rice, which offers 4 grams of healthy fiber per serving. Lundberg's Brown Rice Pasta is a great alternative to traditional pasta and will complement any meal. Enjoy! Bring 4 quarts of water to a boil in a large pot. Add 1 tsp salt and 1 tsp oil to water. Add pasta to boiling water and begin timing for 9 minutes. Stir gently for 3 to 5 seconds. Maintain a rolling boil while cooking, stirring occasionally. After 9 to 10 minutes drain pasta, then rinse well with cold water. Top with sauce and serve. Note: for pasta al dente, cook for 8 to 9 minutes. *Percent Daily Values is based on 2,000 calorie diet.